Welcome to TracfoneReviewer! We share news, reviews and information about Tracfone! 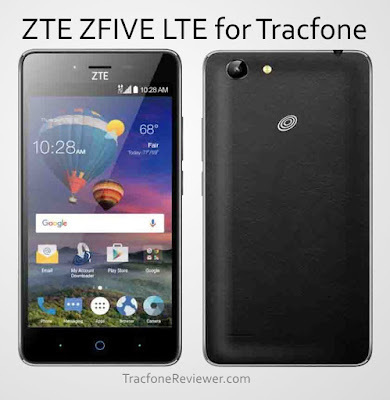 The ZTE ZFIVE is a recent smartphone released by Tracfone that uses Android 6.0.1 and has a 5" touchscreen. It also comes with Triple Minutes for Life. 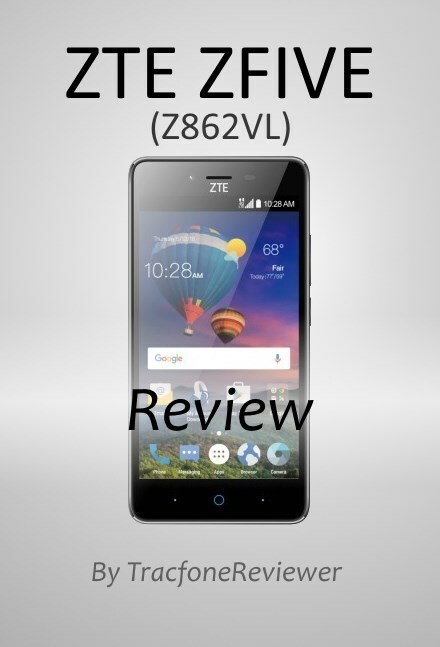 In this review we will share the full specs and details about the ZFIVE and where to find it for the best deal. Tracfone offers a wide variety of Android and Apple smartphones through online and in-store retailers. We have reviews for a number of them on our Cell Phone Reviews page. And you can also check out the list of Latest Tracfone Cell Phones to keep up with whats new. One of the big positives about this phone is that it still comes with Triple Minutes for Life, which Tracfone has stopped including on many new smartphones they release. If you want to learn more about this, read our recent post on the Tracfone Ends Triple Minutes for Life. Below are the full list of features and technical specifications for the ZFIVE. Most of these features are fairly typical for a phone in this price range, but we do see a couple updates over older Tracfone smartphones that may make this a good option for some consumers. ZTE is a electronics company based in China and one of the largest cell phone manufacturers in the world. They generally focus on low-cost devices, especially those targeted at prepaid users. ZTE phones generally offer enough features and performance to handle basic smartphone activities, like surfing the web, using a few apps and taking photos, while maintaining a budget price tag. The ZTE ZFIVE fits this description, and let's take a closer look at some of the good, and bad, points about this phone. The 5" touchscreen on the ZFIVE is a sweet-spot for many users, who don't want their phone to be too big or bulky. The resolution is HD (1280x720) with a pixel density of about 293, resulting in fairly crisp and clear display. The colors on this screen aren't bad, but can look a little washed out, especially when viewing outdoors. While the 1.1 Ghz quad-core processor isn't bad, the memory and RAM on the ZFIVE are a little low for most users. You get just 8 GB internal memory, with around 4 GB actually usable. There is a Micro SD Card slot, with up to 64 GB external storage. Similarly, the 1 GB RAM is enough for web browsing, popular apps like Facebook and Instagram, and basic games, but will struggle to keep up with 3D games or any apps that aren't well optimized. If you typically only use a few different apps, and are not interested in newer games, the performance of the ZTE ZFIVE should be adequate. The 5 MP rear camera on the ZFIVE comes with auto focus and flash, and is surprisingly good for what it is. You can also record full 1080p HD videos which look pretty good too. There is also a 2 MP front 'selfie' camera for video chatting and photos. At 2500 mAh, the battery on the ZTE ZFIVE is a little smaller than most phones these days, and gives about 12 hrs under normal use, 8 days on standby. If you're a moderate to heavy user, expect to need to charge this phone during the day. The ZTE ZFIVE runs Android 6.0.1 Marshmallow which is a newer version of the OS, and nice to see included. With Tracfone devices, they don't get software updates, so whatever version the phone comes with is what it will keep. With Android users have access to over a million apps through Google Play. Visit our List of the Best Apps for Tracfone to get some ideas. While most new phones from Tracfone no longer include triple minutes, the ZFIVE does, which is nice to see. With triple minutes al regular airtime cards triple when added to the phone. Smartphone only airtime cards do not triple, but generally come with more texts and data, which many users prefer. 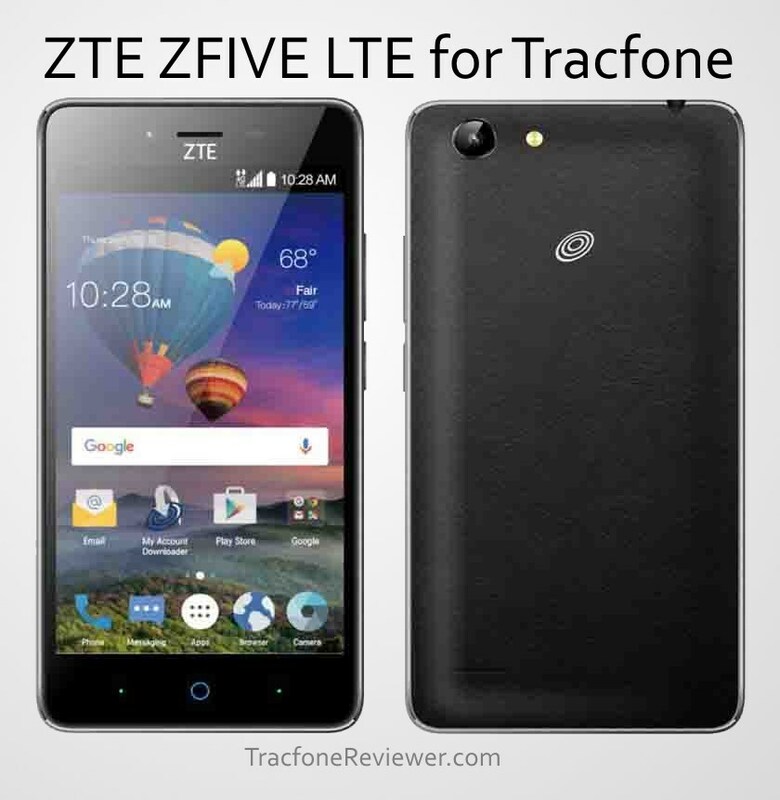 The ZTE ZFIVE from Tracfone is a cost-friendly smartphone best suited for users who don't need very much memory on their phone, and don't plan to run any performance heavy apps or games. It could make a nice upgrade from older Tracfone devices like the LG Ultimate 2, LG Power, LG Rebel, or any Alcatel or ZTE phones running Android 5.1 or older. For those that want a little more performance, and a larger screen, consider the ZTE ZMAX Champ, LG FIesta or Samsung Galaxy J7 Sky Pro, but be aware these phones do not come with Triple Minutes. If you really want a phone with the capability and power to handle almost any game or app, consider an unlocked device like the Moto G5 Plus and using it with Tracfone BYOP. This is a great option for those who are moderate to heavy cell phone users, but still want the advantages of Tracfone prepaid service. The ZTE ZFIVE can be found bundled with 1200 minutes for just $79 on HSN. If they are sold out, the ZFIVE may also be available through WallMart and Target stores. We hope this information was helpful. Leave a comment with any thoughts or questions. New to Tracfone? Take a look at our Beginners Guide which covers some of the basics on how it works, and the different options available. If you have more specific questions, join us on Facebook where you can send a message, or post to the page and get help from more than 2600 other Tracfone users. 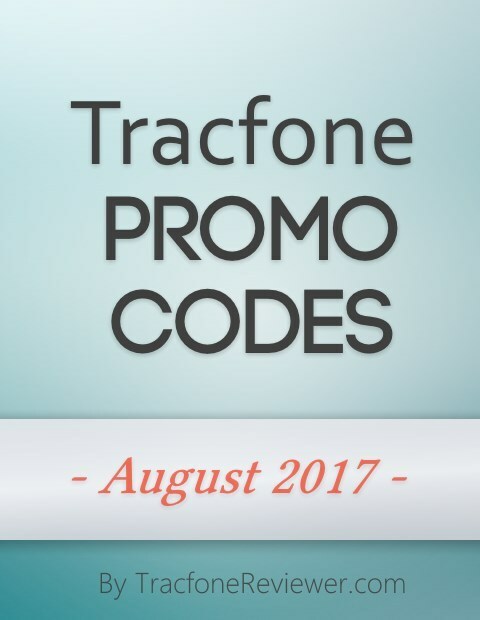 It's a new month, and summer is almost over, but we've got fresh Tracfone promo codes to make things a little better! Each month we gather these promo codes, test them, and then share them here for our readers! There's nothing to click or do, the promo codes are free to use! Simple add the promo code when entering the Tracfone airtime PIN number in the spot marked for it. You can add airtime on your phone, over the phone or online. Promo codes are meant for non-smartphones, but will usually work for both Tracfone smartphones and BYOP devices. If you're looking for a new phone, check out our Cell Phone Reviews or the BYOP page for recent reviews and information. Some of the recent phones form Tracfone, like the LG Fiesta, don't come with Triple Minutes for Life, but promo codes should still work with them. 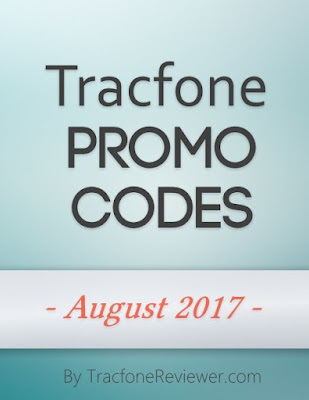 This page includes only the latest codes from Tracfone that a re for August 20177 but we also have a larger, Tracfone promo code page with more options, so if you don't see a code here that works, be sure to also visit there. Let's get to the codes! Some codes may be one time use, and others may be limited to certain airtime cards. But for most codes, they can be used with a specific airtime card or any card of greater value. Adding airtime over the phone may be the easiest way to ensure you receive bonus minutes. 1 Year/400 Minute Card use 89823 for 250 free minutes (valid until August 16th) or try 82024 to get 300 minutes! We hope these codes get you the extra bonus minutes, let us know in the comments below which one you used, and how it worked. Take a look at our 10 Tips for Improving your Cell Signal if you've ever wondered about how to boost your signal, or why you lose it in certain locations. Also check out the latest post of Tracfone Deals, Discounts and Sales which includes both Tracfone smartphones and BYOP devices. Join us on Facebook, where our community of over 2600 offers helpful information and advice. And send us a message if you have a specific question, its the best place for us to respond. And if you are curious about what WiFi Calling is and how it works or if you can unlock your Tracfone then follow the links to our recent articles!